Your donation helps keep us online, thank you. 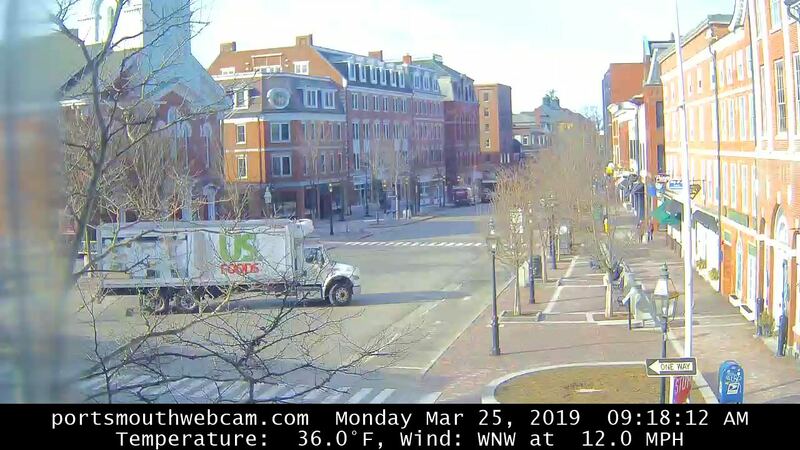 The webcam is located at Starling Hair & Beauty at Market Square, Portsmouth, New Hampshire - the heart of downtown. Market Square is a center of activity with art galleries, bookstores, antique shops, ethnic restaurants and many original 17th-century buildings. Explore Portsmouth, New Hampshire - there are many fine restaurants in town.